Ever since Google started working on Android application support in Chrome OS, we have seen a number of core Android features adapted to the new platform. Google is currently working to bring Android P support to Chrome OS and with that will come full support for Picture-in-Picture mode. Those of you who are on the developer channel of Chrome OS can now toggle an experimental feature in chrome://flags to bring Android app shortcuts to supported applications. It’s no secret that Google has been working on adding support for app shortcuts to Chrome OS. We first reported on this back in May of this year and then a couple of weeks later we learned how Google is looking to expand the feature. You will be able to access app shortcuts on Chrome OS devices with a long press (like you can on regular Android devices now) or a right click of the mouse. 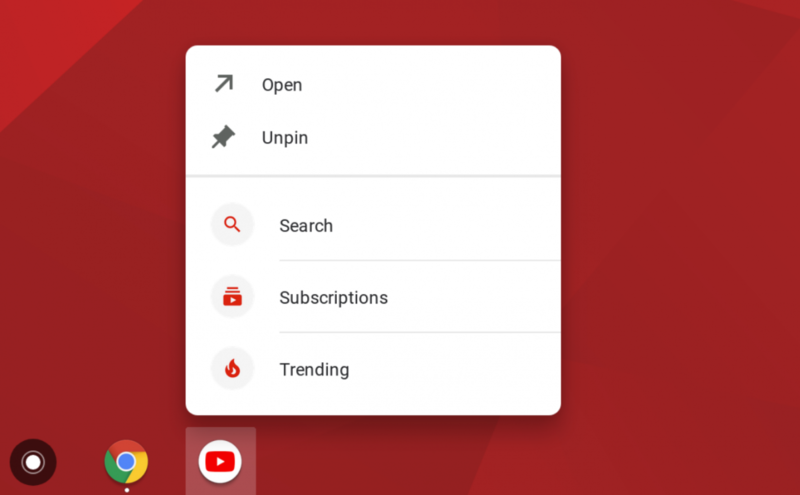 A commit to the Chromium Gerrit showed that Google has been actively developing a way to search for app shortcuts directly from its launcher on Chrome OS. When we first talked about this commit we were unsure if it would make it into Chrome OS as it was just tagged as Active. However, looking at the commit now shows that it has in fact been accepted and merged into the codebase. As mentioned, enabling the app shortcuts feature on Chrome OS right now will require you to be on the developer branch of the operating system. 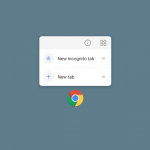 Once you are on the dev channel you can then dive into the hidden Chrome flags menu at chrome://flags/#enable-touchable-app-context-menu and enable that experimental flag to get app shortcuts working. With that done, you will notice that you can trigger the app shortcuts menu by right-clicking on an application icon that is pinned to the shelf. You will also be able to bring up the app shortcuts menu on any application that is displayed in the launcher itself.